This one&apos;s for all the lovebirds out there. 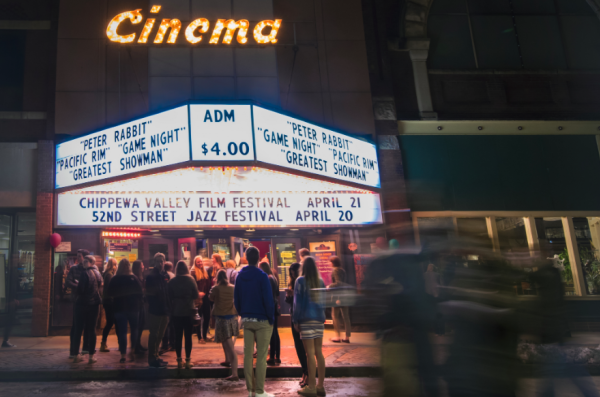 Whether you&apos;re in Eau Claire for 3 days or 30 years, there will always be plenty of fun date night activities for you and your love. Eau Claire is full of cute shops, stops and restaurants. The only problem you&apos;ll have is choosing which place you&apos;ll want to go next. We asked Eau Claire locals about their favorite date spots in Eau Claire. They responded with a ton of ideas, and these were the most popular answers. If you haven’t been to any of these places, it’s time to check them out with your significant other. You&apos;re both sure to love it. Whether you’re chatting it up over coffee on one of the comfy couches in Racy’s or sharing an order of lemon ricotta hotcakes at The Nucleus, you’re sure to impress any date by taking them out to 405 Water Street. This is the ideal place to go for a breakfast date with your S.O. or to stop by for a cup of Joe before heading out on a walk together. In addition, it’s just a short jaunt away from one of the most romantic spots in Eau Claire: Putnam Rock. Without a doubt, Mona Lisa’s is one of the most elegant restaurants in Eau Claire. With a dreamy chandelier made out of wine bottles and a top-notch menu, it’s the best place to go for some fine dining. Mona Lisa’s is open Tuesday through Saturday, and its vast drink selection never fails to disappoint. If you want to impress that heartthrob or go somewhere special just for the heck of it, then Mona Lisa’s is a stellar option. If you haven’t gone to The Livery a.k.a Cowtown Saloon for date night yet, I highly recommend it. The Livery is a great place to grab a bite to eat, and on top of that, there’s a game room. So you can go there for a meal or just split a few appetizers and then head upstairs to shoot some pool. Who doesn&apos;t love some friendly competition on a date night? The best part about this place, though, is the Friday Fish Fry (it’s only $9.99)! Regardless of what you choose to do at The Livery, you’re sure to have a fun time with your date in this great atmosphere. 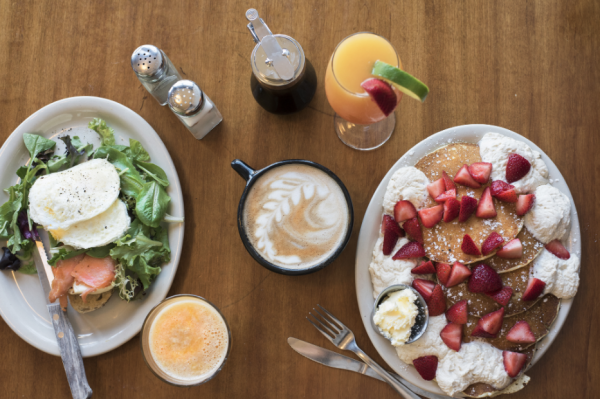 Whether you and your darling are there for half-off apps and taps, or you decide to wait until Sunday for brunch and bottomless mimosas, The Plus is overflowing with opportunities for a date night. The pizza is mouthwatering, and there’s always something going on; Tuesday is Open Mic Night, Wednesday is Trivia Night, Thursday is Comedy Night and the weekends are all about live music. 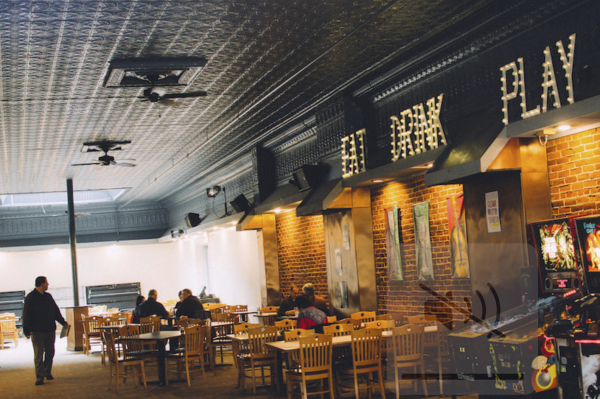 Also, it’s a great place for a quick lunch date; they offer a lunch buffet Monday through Friday from 11 a.m. to 2 p.m. You and your date will never be bored at this downtown date spot. If you want to go somewhere for a fine-dining experience, Houligans Steak & Seafood Pub is another amazing restaurant that’s terrific for a night out with your favorite person. Houligans features great drinks and one of the best patios in Eau Claire. Along the same lines, this is a fantastic spot to go during happy hour (drinks and appetizers are $1 off). They’re open Tuesday through Thursday from 4 p.m. to 9 p.m. and Fridays and Saturdays from 4 p.m. to 10 p.m. Don&apos;t miss out on this great experience. It&apos;s absolutely no surprise that Ninja made this list. This is a fun restaurant located downtown that offers the best Chinese and Japanese food in the area. Whether you and your partner in crime want to eat out or you’re feeling a night of Netflix and take-out, Ninja is an incredible for any type of date; after all, you can’t go wrong with General Tso’s Chicken and Sake. And there you have it! Before you go out on your next date, review our list and give somewhere new a try. 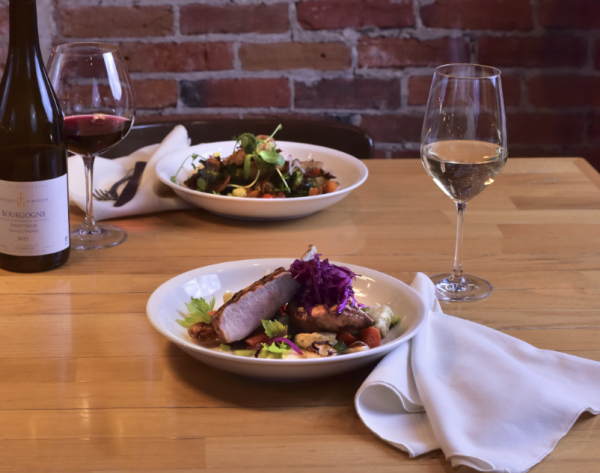 You’re sure to have a wonderful time if you hit up one of these eight date spots in Eau Claire. Make sure to take some pictures to commemorate your date in Eau Claire and share it with us using #CaptureEC.